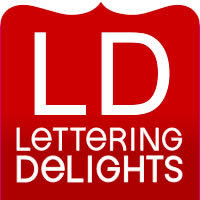 Become a fan of Lettering Delights on facebook here and you can get $10 in free products! I just ordered 2 really cute fonts and got them totally for FRE! As long as your order is exactly $10.00 or under you will not have to enter any payment information or pay anything. While you are on facebook, why not add Centsible Savings as a friend too!